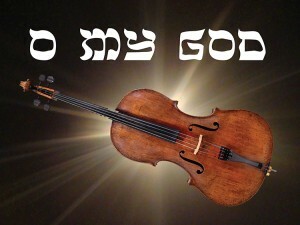 West Coast Jewish Theatre has announced the first production of its 2015-16 season, the American Premiere of O My God by Anat Gov. Directed by WCJT Artistic Director Howard Teichman, there will be two preview performances on April 16 and 17 with opening set for Saturday, April 18 at 8pm at the Pico Playhouse in West Los Angeles. The engagement will run through June 7. O My God is a dark comedy set in the Tel Aviv office of Ella, a psychologist who laments her son’s autism. His illness challenges her to the breaking point regarding her beliefs in God, religion, the human condition, and her own existence. One day, she receives a phone call from a new patient who insists on seeing her immediately and when the man arrives and introduces himself, Ella is faced with the challenge of considering what God truly means, how we accept faith, and how these concepts help us navigate each day of our lives. The cast of O My God will feature Mike Burstyn, Maria Spassoff, and Joseph Rishik. The set design is by Kurtis Bedford, lighting design is by Gil Tordjman, costume design is by Michelle Young, and sound design is by Bill Froggatt. The stage manager is Josie Griffin-Roosth. 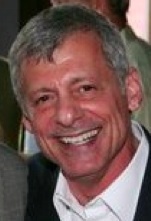 Mike Burstyn is an internationally acclaimed American/Israeli actor with many and varied international credits, include stage appearances in New York, Los Angeles, regionally in the US, London, Holland, and Israel. Broadway credits include Barnum, Inquest, The Megilla, and Ain’t Broadway Grand. Other stage credits include Lansky, The Rothschilds, On 2nd Avenue, The Prisoner of 2nd Avenue, Fiorello! (Encores), Jolson At The Winter Garden, Lansky, Fiddler On The Roof, Guys & Dolls, Berlin To Broadway, and The Tale Of The Allergist’s Wife with Valerie Harper, among many others. On TV, Burstyn has been seen on Law & Order, Saving Grace, HBO’s Dog Watch, As the World Turns, The Cosby Mysteries, and more. He is fluent in and has performed in eight languages, and he is the recipient of multiple Israeli ‘Oscars.’ For more information, visit www.mikeburstyn.com. Maria Spassoff returns to WCJT having previously appeared in I’m not Rappaport and Last of the Red Hot Lovers. At Theatre 40: Lost in Yonkers, The Gamester, Round and Round the Garden, Three Postcards, Escape From Happiness, Romance.com, Nicholas Nickleby and Rosencrantz and Guildenstern are Dead. Other stage credits include Arcadia, Female Transport, King Lear, Henry V, Pericles, What the Butler Saw, and more. Joseph Rishik started playing the cello at age nine and has participated in many state and regional honor orchestras and playing in festivals such as Arrowbear, Idyllwild Arts Summer Program and the Unbound Chamber Music Festival at Mammoth Lakes. Most recently, Rishik performed the Saint Saens Cello Concerto with the Santa Monica College Orchestra. Playwright Anat Gov was born in Tiberias and joined the IDF in the 1970s, serving in the Nahal troops entertainment group, where she met her future husband, singer and actor Gidi Gov. She wrote scripts for television shows in which her husband participated, including the long-running entertainment program “Zehu Ze!” In the 1990s, she began writing comedies for the Cameri Theatre. Gov’s most successful plays include Best Friends, Lysistrata 2000, Househusband, and Happy End. In 2012, she received the Gottlieb and Hannah Rosenblum Performing Arts Award on behalf of the Tel Aviv Municipality. Gov died after a long struggle with cancer in 2012 at the age of 55. There will be two preview performances of O My God on Thursday, April 16 and Friday, April 17 at 8pm, and opening is set for Saturday, April 18 at 8pm. Preview tickets are $20 and regular performances are $35. Student tickets (with valid ID) are available for $25. The running schedule is Thursday, Friday and Saturday at 8pm and Sunday at 3pm through June 7. Tickets are available online at wcjt.tix.com or by phone at (323) 821-2449. The Pico Playhouse is located at 10508 W. Pico Boulevard in Los Angeles, 90064. As part of its 2015 Breaking Ground play development program, Brimmer Street Theatre Company has announced public staged readings of two new plays. Raw Cut by Christian Durso will be presented on Friday, April 3 at 8pm and Saturday, April 4 at 2pm and And Then They Fell by Tira Palmquist will be presented on Friday, April 10 at 8pm and Saturday, April 11 at 2pm. All presentations will be at the Lyric-Hyperion Theatre & Café in Silver Lake. Admission is free and no reservations are required. Following each reading, audiences will be invited to engage in brief discussions with the playwrights and participating artists. Breaking Ground is Brimmer Street Theatre Company’s newest initiative dedicated to collaborative new play development. Over the course of the seven-week project, BSTC’s ensemble works with local playwrights to move drafts of original plays to finalized scripts through the discovery and collaboration of an abbreviated rehearsal process, design consultation, and finally a staged reading. Raw Cut and And Then They Fell were chosen by the BSTC ensemble from dozens of submissions. In Christian Durso’s Raw Cut, the bitter ex-boyfriend of a fast-rising pop star signs on to do a TMZ-style smear story on her the night before the release of her first album. The ex-boyfriend is paid a visit by the pop star’s shark of a manager who wants him to drop the story, making him an offer he can’t refuse. Directed by David Jette, the reading will feature (in alphabetical order) Amy K. Harmon, Emilia Richeson, and Joseph L. Roberts. Tira Palmquist’s And Then They Fell is a poignant drama. Jordan Matthews would be fine if her mother could hold down a decent job, or if her mother hadn’t been arrested on another DUI, or if her mother’s boyfriend wasn’t a hateful monster. But things aren’t fine and Jordan’s life is falling apart. The adults in her life are either impotent or disinterested, and her only solace comes from out of the blue. Directed by Amy K. Harmon, the reading will feature (in alphabetical order) Sasha Compere, Faith Imafodon, Tyler Jenich, Connor Kelly-Eiding, and Ian Madeira Sollenberger. Audience members who would like to read either play in advance may email jbyrd@ brimmerstreet.org for scripts. Brimmer Street Theatre Company is a non-profit ensemble theatre that creates and produces new works of theatre in order to cultivate artists and engage audiences in Los Angeles. By working from a select core of talented artists, BSTC aims to produce a unique brand of American theatre that is rooted in a common experience and driven by their commitment to building better theatre that is challenging, extraordinary, and inspiring. The Lyric-Hyperion Theatre & Café is located at 2106 Hyperion Avenue in Silver Lake, 90027. 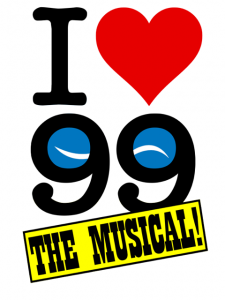 Sixth Avenue has announced an encore of its “ILove99 The Musical!” cabaret event to save Los Angeles intimate theatre. Produced by Adam Silver and directed by Daniel Henning, the curtain will go up once again, featuring returning and additional performers, on Tuesday, March 24 at 8pm at The Dragonfly in Hollywood. The cast will feature (in alphabetical order) Tisha Terrasini Banker, Burglars of Hamm, Parvesh Cheena, Deborah S. Craig, Frances Fisher, Sandra Mae Frank, Tom Lenk, Kelly Lester, Constance Jewell Lopez, Austin McKenzie, Rebecca Metz, Nicole Parker, Jeff Perry, Amy Pietz, French Stewart, Kirsten Vangsness, and more. All performers are subject to availability. Pro99 is a collection of thousands of individual theatrical artists that have become a community choosing to work in intimate theatres (under 99 seats) in Los Angeles. The community includes professional actors, directors, writers, designers, stage managers, and producers. Many are proud members of Actors Equity Association and most are members of other unions as well. The Pro99 community believes it has the right to perform its crafts in an intimate and non-commercial setting and volunteer its talents in search of creative fulfillment. To learn more: www.ILove99.org. 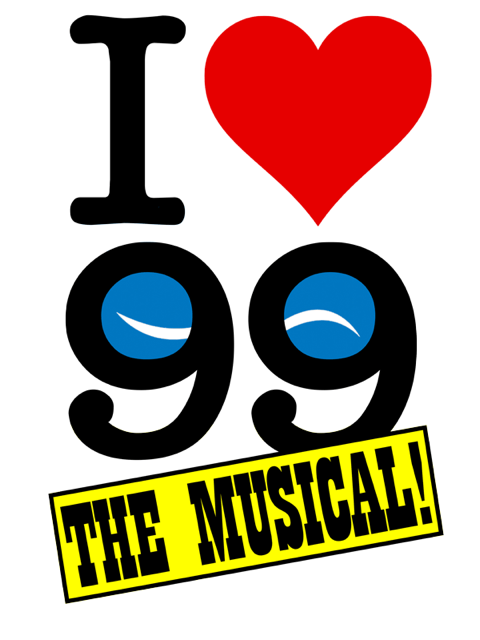 Admission to “ILove99 The Musical!” is free, but reservations are strongly suggested at www.6avenue.org. The Dragonfly is located at 6510 Santa Monica Boulevard in Hollywood, 90038.